The Australian and Swiss Nissan Altima drivers took the competition winners to the UEFA Champions League Final as well as two ICC Champions Trophy one-day cricket matches in Birmingham, England, including Australia’s clash with New Zealand. The duo were accompanied by Melbourne City footballer Neil Kilkenny who also attended the Champions League final in Cardiff. The event was a bittersweet night for Caruso who is an avid Juventus fan. His team lost out to Real Madrid 4-1. Nissan is a sponsor of European football governing body UEFA, the International Cricket Council, and Kilkenny’s club in the Australian A-League football competion. 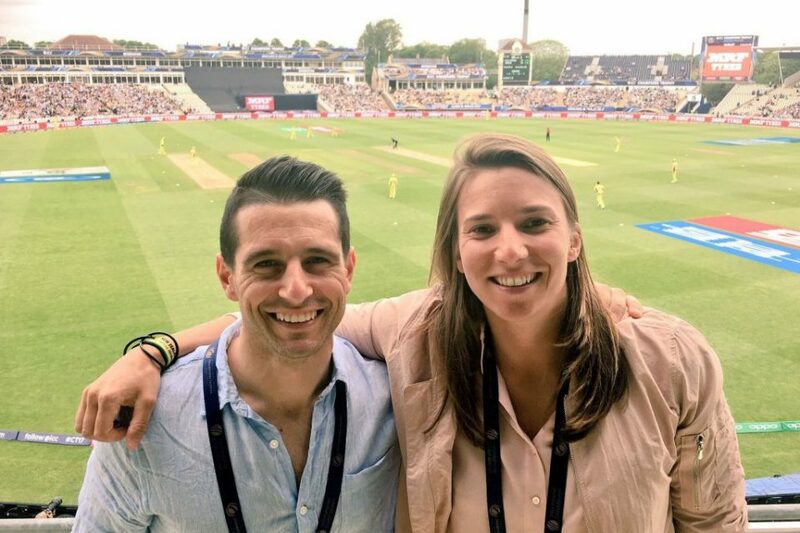 “I’ve been to lots of sporting events around the world, but I have never been to anything like the Champions League final,” said De Silvestro. The duo will be back on track later this month in Australia when the championship visits Darwin’s Hidden Valley Raceway from June 16-18.